This weekend! 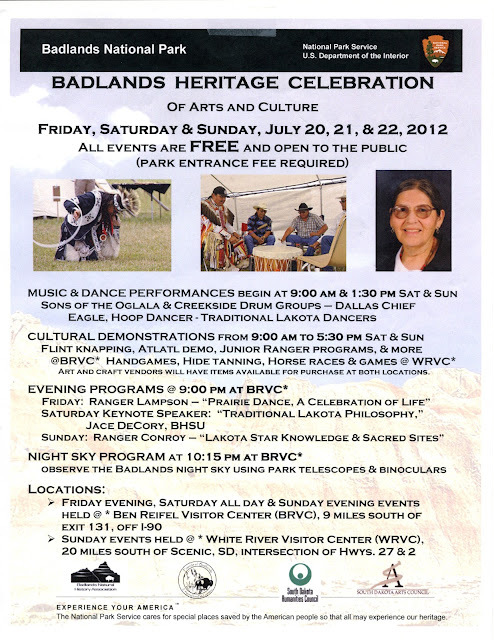 Friday, Saturday & Sunday, July 20, 21 & 22, 2012! Friday: Ranger Lampson - "Prairie Dance, A Celebration of Life"
Sunday: Ranger Conroy - "Lakota Star Knowledge & Sacred Sites"
Eagle Butte, S.D. – The Annual Wounded Knee Memorial Motorcycle Run will be held Friday and Saturday, Aug. 3 - 4, 2012. This event, which follows the Trail of Chief Big Foot, begins at Fort Yates, ND, continues to Eagle Butte, SD and ends at Wounded Knee, SD. The Mission of the Wounded Knee Memorial Motorcycle Run is to preserve the memory of the innocent Lakota People who suffered and died on December 29, 1890. Participants will honor the ancestors through prayer and ceremony by remembering and paying their respects. Educational programs coordinated throughout the Run will be presented by Descendents of the Wounded Knee Massacre, bringing awareness to all people; then healing and unity can be achieved. 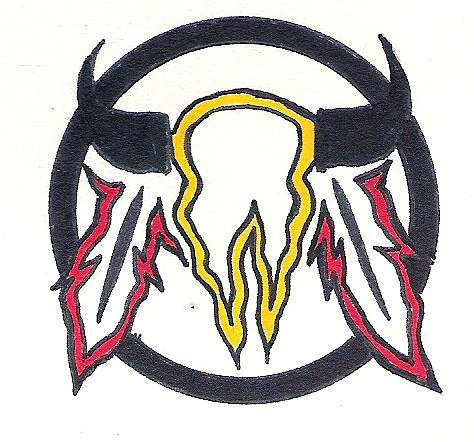 Please join Motorcycle Riders from other Tribal Nations as well as non-native riders from all over the United States as they ride in honor of those buried at Wounded Knee, SD. These riders have been drawn to the Run because of the traditional respectfulness and integrity that is shown and given throughout the duration of the event. 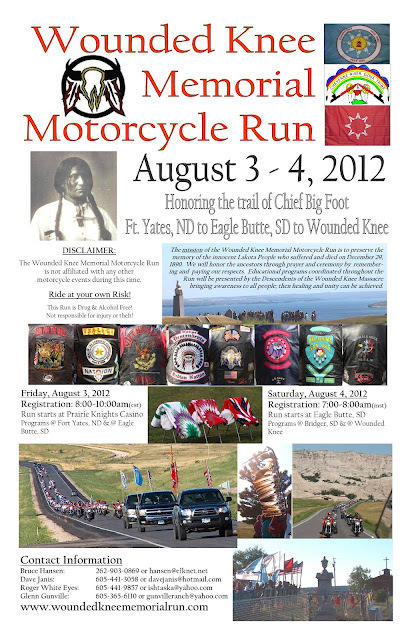 Registration for the Motorcycle Run will be on Friday, Aug. 3rd, at the Prairie Knights Casino parking lot along North Dakota Highway 24 at Fort Yates, ND from 8:00-10:00 a.m. CST and will continue on Saturday, Aug. 4th, at the HVJ Cultural Center along South Dakota Highway 212 at Eagle Butte, SD from 7:00-8:00 a.m. MST. Organizers are asking for donations of $20 for riders, $10 for passengers and $20 for support vehicles (cash only). Proceeds from the event will benefit charitable organizations on the Standing Rock, Cheyenne River, and Pine Ridge Reservations. 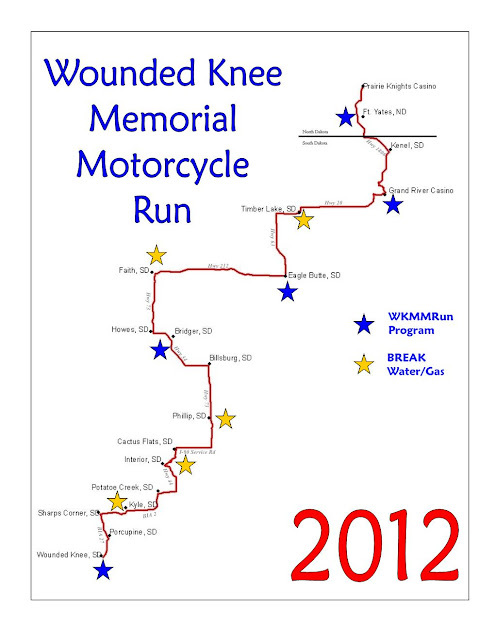 The Wounded Knee Memorial Motorcycle Run is an alcohol and drug-free event. Disclaimer: The Wounded Knee Memorial Motorcycle Run is not affiliated with any other motorcycle event during this time. All Riders are welcome to attend!